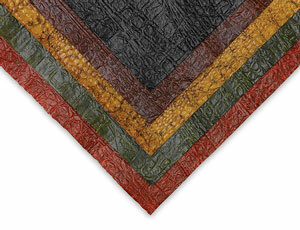 Crocodile Paper — These varnished Crocodile papers offer the look and feel of real crocodile skin. Made in Thailand from mulberry and bamboo pulp in a flexible 40 gsm weight, they make excellent book covers. 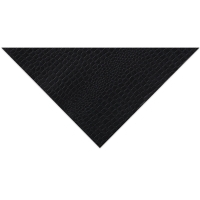 24" × 36" (610 mm × 914 mm) sheets. Reptile Paper — This glossy, slithering paper looks so real, you won’t believe it’s paper! Handmade with machine embossing, the detailed texture and striking desert gold color add to its realism. It is an excellent weight for all types of creative projects, including book covers and frame covers. 100 gsm. 20" × 30" (508 mm × 762 mm) sheets.